A vast majority of the available medical research for treating scoliosis is about the treatment of children. On one hand, this makes sense – most cases of scoliosis are, after all, diagnosed in childhood. But what if you’re an adult who has just been diagnosed with scoliosis? Odds are, you’ve got a lot of questions. You’re probably wondering what your options for treatment are, and whether they’re the same approaches used for children. You’re probably a little scared and uncertain, too. What does this diagnosis mean for your lifestyle? Can you still be active? Will this have a serious impact on your long term health? Yet the most common question for many adults diagnosed with scoliosis is a simple one: what treatment will make sure there’s no more pain? Mitigating pain is an important part of any viable treatment plan, but it shouldn’t be the only part. Pain, after all, is just a symptom. And alleviating a symptom is mere palliative. The only way to ensure a long, pain-free life, is to treat the condition at its source. Unfortunately, due to the lack of research, many doctors will tell you that there just aren’t many good options for treating adult scoliosis. Most of these options are uncreative, and expensive. Doctors will often just put you on a series of injections, but these will only address your pain. Thankfully, at ScoliSMART, we have good news for you. Recent research suggests that non-invasive, exercise therapy can stop, and even reverse, scoliosis in adult patients. Using this, and other, information from other research, we have developed ScoliPAIN, a revolutionary new treatment plan for adults who have been diagnosed with scoliosis. Not only will ScoliPAIN’s multi-disciplinary approach to treatment help alleviate your pain, but it will address your underlying scoliosis, ensuring fewer complications in the future. ScoliPAIN is an intensive five or ten day treatment program designed for adults who are suffering from pain related to a recent scoliosis diagnosis. It is, quite simply, the best non-surgical scoliosis treatment in NYC. It is a comprehensive, multi-dimensional set of exercises that have been specifically designed to not just ease pain, but combat the underlying cause. These exercises will help your body to begin the process of ‘righting’ your spine from within, using nothing but its own strength. It utilizes many of our unique methods of treatment. These can include the Scoliosis Activity Suit, Auto Response Training, a neurotransmitter evaluation, and isometric exercises. Each activity has been designed to help you heal naturally, without the need for cumbersome braces or invasive surgeries. It is patient-centered. This means that we put your treatment in the right hands – yours! You will work with Dr. Sid to develop your own treatment plan. This ensures that the exercises are specifically tailored to your body. Most importantly, it empowers you to chart your own course to a healthier, happier life. If you’ve been diagnosed with scoliosis, don’t wait. The sooner you come in, the better for your long term health. When you arrive at our offices, we’ll begin planning your course of treatment on the first day. Working one-on-one with you, Dr. Sid will help guide you on every aspect of your program, from proper exercise training to developing a diet rich in the amino acids and enzymes your body needs to naturally correct your scoliosis. This will ensure that your condition gets better, not worse, as you age. ScoliPAIN aims to teach you healthy habits that will allow you to control your scoliosis, not the other way around. ScoliPAIN is designed so that it can be individualized for almost any adult patient suffering from scoliosis. Are you dealing with a lack of confidence due to your condition? After just a week of treatment, you’ll begin to see cosmetic improvements in your curvature. It’s also perfect for patients who suffer from breathing problems related to their scoliosis, or those who have been forced to give up an active lifestyle due to pain. As your curvature corrects itself, this will alleviate some of the stress upon your internal organs, enabling you to breathe easier. This will also mean less pain, allowing you to get back to the kind of active, healthy lifestyle that you crave. 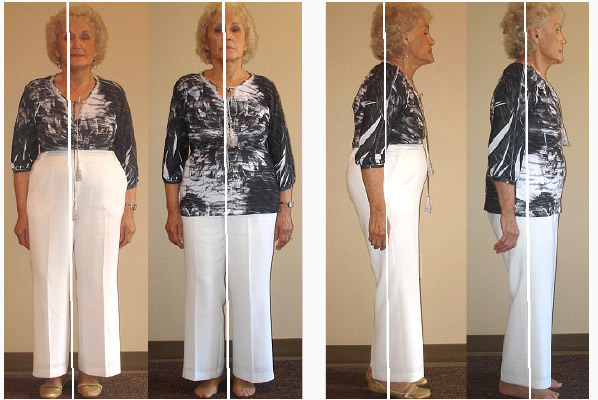 ScoliPAIN may be especially beneficial to older women suffering from scoliosis. Research shows that up to 30% of post-menopausal women may be diagnosed with scoliosis. ScoliSMART is especially attentive to older female patients, whose condition is likely the result of hormonal changes associated with menopause and the resulting changes in bone density and muscle strength. We have exercises specifically designed to combat these changes, and to help you stay your best self for many years to come. Whatever your age or situation, ScoliPAIN can help get your life back on track by limiting your pain, improving your flexibility, and building your core muscles – and it does all this despite being cost-effective and non-invasive. Ignore all those doctors who tell you that your only options are surgery or palliative care. ScoliPAIN is a cost-effective, non-invasive way to treat your condition, not your symptoms. Don’t let scoliosis control you. Take back your life, and contact ScoliSMART today.